For as long as Siann Marlowe, founder of The RAS Collection, can remember she always wanted to design and create clothing. She saw clothing more than just garments to cover our bodies, she saw clothing as a means of expression, and a definition of one’s lifestyle. Her mother, a self-taught dressmaker from Jamaica, would transform a variety of bright colored fabrics into stylish pieces of clothing, by carefully using her hands and her Singer sewing machine. This childhood memory is what led Siann Marlowe to create the first of many lines of men’s designer clothing … – The RAS Collection. MFW Apparel is not just another label, it’s a lifestyle defined by you. We believe in unique designs and high quality clothing, which equates to using only of the best raw materials and resources available in the industry. All of our production is done in the USA. All of our products are 100% made in the USA. Homebase of The RAS Collection is Los Angeles (California). The message behind the clothing line is UNITY and the passionate expression of culture through fashion. 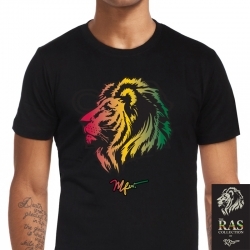 Our love and passion for reggae, roots and culture fuel our drive to bring love and unity through fashion. We aim to utilize our resources to push this message across the world.